Back in June of this year (2016), my wife and I decided to give Fulfillment by Amazon (FBA) a try. 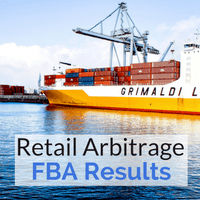 We are always exploring new and profitable income streams and wanted to learn more about retail arbitrage. Prior to FBA, we had sold a few items on eBay and have sold as a Merchant on Amazon. Neither experience was bad, but it wasn’t something we thought could turn into sustainable income. 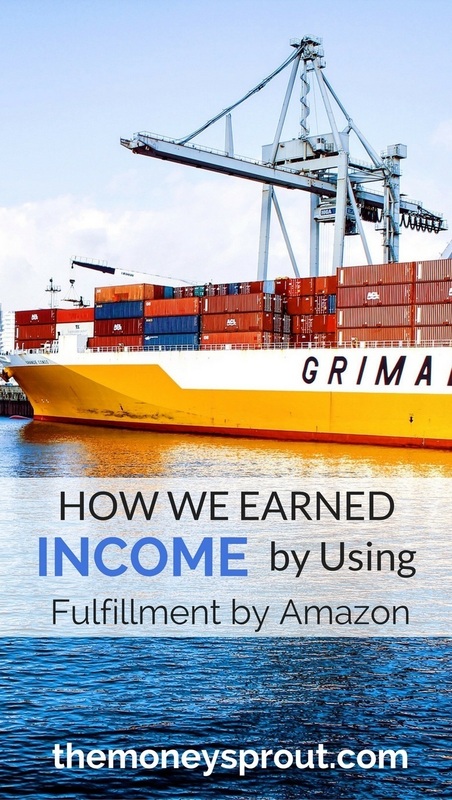 Fulfillment by Amazon is a tool used by many sellers to earn extra income. In many cases, sellers are able to earn sustainable income through FBA. Our experience so far has been limited with almost no profit to speak of. There has been good (sold all our inventory) and bad (made less than $1.00 total) with selling on FBA. If nothing more … we have learned a bunch of things NOT to do with this potential income source. When it comes down to it … earning an income from retail arbitrage takes work. If we are willing to put that work in, then I believe we could build a decent income stream with FBA. Below is a quick recap of our final sale we made from our first shipment. It is that time again where I will give a quick update on our Fulfillment by Amazon (FBA) money experiment. We are testing out selling through FBA to see if it can be a viable extra source of income for our family. I honestly hadn’t thought much about our FBA inventory recently. That is good and bad. On one hand … not thinking about the inventory gives it a “passive” quality. I like that for an income stream. After packing up our first shipment, there was no work involved on our side. On the other hand … not thinking about our FBA inventory probably means it hasn’t been that successful of an income stream. So far … I would say it is a wash. Not good but not bad either. We have now made our final sale using FBA from our first shipment. We made our first sale on FBA back in June of this year. After 6 months … we are happy to report that our final sale was made from our first FBA shipment. When I last reported back in October, we had just sold the 6th of the 11 items from our first shipment. At that time, we had 5 items remaining that were all the same product. So … in the past 2 months or so … we have sold the remaining 5 items. Each of these items was a “craft/toy item” that we originally paid $3.20 each. Back in October, we decided to lower our original sale price on FBA for these 5 items, in order to clean out this inventory. The product is not really anything I would try and sell again. As you can tell, we took a loss on these 5 items after factoring in fee’s and the cost of the goods. The total loss was (15.54). When we first bought these items, I thought we could make $3 or $4 on each of them. Turns out we lost that amount on each. Not entirely what I was expecting when we listed this item, but I have realized it is hard to make any profit off of low priced goods. What I realized early on about selling items on FBA is that you need to shoot for the higher priced items – well over $20. Here is a breakdown of the FBA fee’s for all 5 craft items we recently sold. Since we paid $16.00 total for all 5 board games ($3.20 each) and the fee’s were $24.49 – we would have needed to sell the 5 items for a total of $40.49 (or $8.09 each) to break even. Even if we would have sold these items for a reasonable $9.99 each – our profit (under $2) would not have been worth the effort. Note – Now that we have sold all of our remaining FBA inventory, we won’t be selling low priced items again. There is just no room to make a decent profit and in this case we lost money. Whenever we make a sale on FBA, we update the status of our first shipment – which contained a total of 11 items. These items consisted of 3 different products that were shipped to 3 different FBA locations. The total costs for this first shipment was – $66.81. After our final sale, we had a positive balance of $.88. However, we also incurred $.31 worth of FBA Inventory Storage Fee’s over the past 2 months. Those fee’s brings our positive balance down to $.57. So after 6 months of listing inventory on FBA, we made a grand total of $.57! Note – You may be wondering how our overall balance increased this past sale, despite us losing money on the last 5 items sold. Well … the $66.81 cost above had the original cost of the craft items already factored in. We could have kept our listings higher on the craft items (maybe $5.99 or higher). That may have pushed us a little higher, but we also didn’t want to pay another $.19 or more in storage fees for inventory not sold. We have been selling items on FBA for over the past 6 months. In that time, we sold 11 items that were including in our first FBA shipment. After accounting for the cost of the goods to sell, shipping costs to FBA warehouses, FBA fee’s etc. – we have made an astounding $.57 on this side income stream. Not exactly my idea of a worthwhile side income stream. And while we haven’t made much profit, we have learned plenty of things. The most important being don’t try and sell low priced items. The FBA fee’s will eat up any profit. After observing our little time with FBA, we plan to give it another go with our second shipment starting early next year. Do you have a profitable FBA income stream? What types of items do you sell?